Student agency is a form of personalized learning that encourages students to take initiative when it comes to their own learning experiences in the classroom. Therefore, students get to decide what and how they learn. Students are presented with choices, making them more inclined to be engaged and invested in learning. Schools fostering student agency are preparing students to be successful, innovative, and independent thinkers of tomorrow. Student-centered learning empowers student voice and gives students a platform. Understanding the importance of student voice is necessary for creating a culture of eager learners. As a result, there is a change in the students’ attitude toward learning that is both positive and receptive. We need to take a look at the impact of student agency and its effectiveness of providing students with skills and growth. Student agency is an emerging, relevant topic in education and the sociopolitical climate, based on entries and selections via PanelPicker. 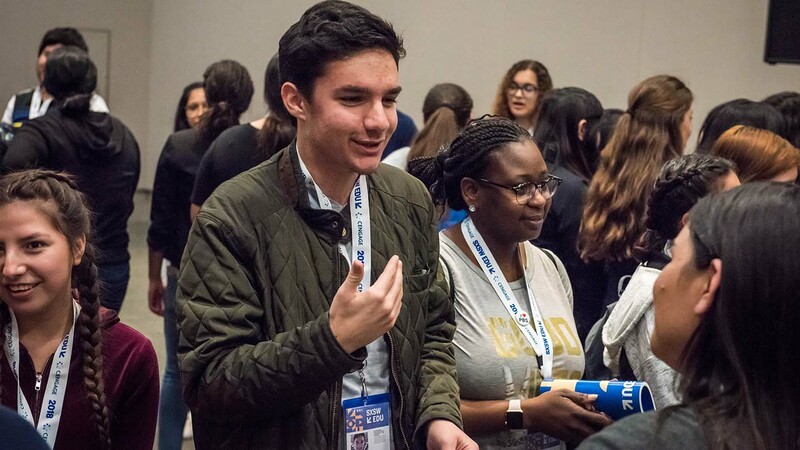 This upcoming SXSW EDU will feature various sessions about student agency with focuses on inclusion, sexual harassment, social justice, and student voice. Check out the 2019 SXSW EDU schedule to see the full list of sessions in this track. Join us March 4-7, 2019 at SXSW EDU to learn more about student agency. We can’t wait to see you there! I’m excited to join the SXSW EDU team to learn more about digital marketing through video and social media. I currently attend Texas State University and am in the process of obtaining a Bachelor of Science in Mass Communication - Advertising with a concentration in Digital Media Innovation. When I’m not in the classroom I enjoy hanging out with my friends, reading comics, and watching movies.